Eyebright, like the name implies, has an affinity for the eyes and occular conditions. The herb is both taken internally and applied topically to reduce redness and irritation of the eyes associated with blepharitis and conjunctivitis. Eyebright can safely be applied topically as poultice or eye drops to reduce tearing and itchiness associated with allergies and infections. 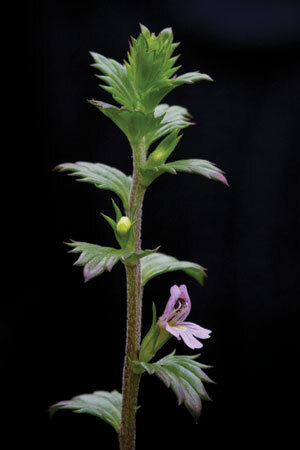 Although research is limited, eyebright appears to have antiinflammatory effects. In addition to eye conditions, it is also used for inflammation of the respiratory tract. It is sometimes used for upper respiratory tracts (URTI) to decrease congestion and especially in the sinuses. In particular it helps alleviate symptoms associated with seasonal allergies including nasal congestion, sinus pain, tearing and itchy eyes.